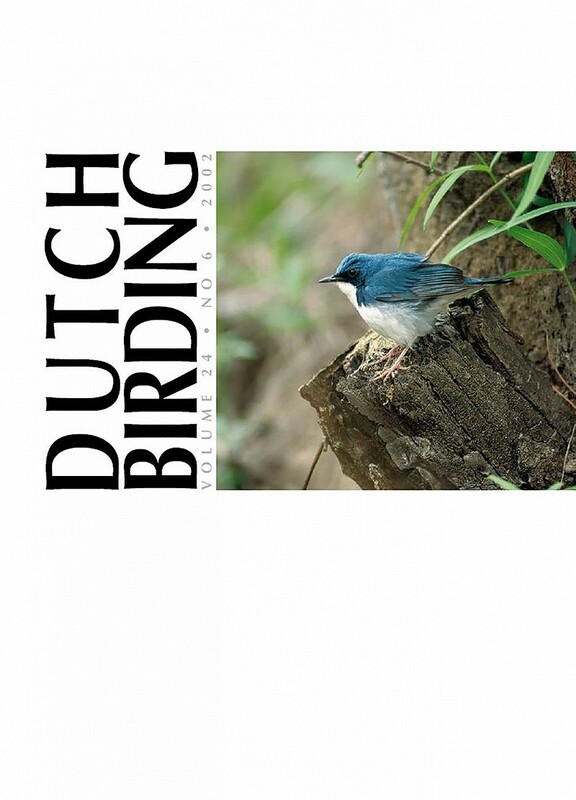 In dit artikel worden de resultaten gepubliceerd en geanalyseerd van onderzoek in de winter van 2000/01 naar de aanwezigheid van Zilvermeeuw Larus argentatus, Geelpootmeeuw L michahellis en Pontische Meeuw L cachinnans cachinnans op vier locaties (aangevuld met gegevens van twee andere locaties) in het binnenland van Polen. In tabel 1 en figuur 1 (kaart) worden de telresultaten gepresenteerd. De belangrijkste conclusie is dat in de noordelijke locaties Zilvermeeuw veel algemener is dan Pontische Meeuw; in de zuidelijke locaties is dat omgekeerd. In tabel 2 wordt een overzicht gegeven van ringaflezingen tijdens de onderzoeksperiode (twee van Geelpootmeeuw, acht van Pontische Meeuw). In figuur 2 wordt informatie gegeven over de leeftijdsverdeling; adulte vogels zijn het meest algemeen, gevolgd door eerste-winter vogels. In figuur 3-4 wordt verduidelijkt dat het aantal en aandeel Pontische Meeuwen afneemt naarmate de locatie meer noordelijk is en toeneemt naarmate de locatie meer oostelijk is. De toename van overwinterende Pontische Meeuwen kan worden verklaard door de toename van vogels die vanuit zuidelijker streken de grote rivieren noordwaarts volgen en door dispersie van vogels van de recent in het zuiden van Polen gevestigde broedkolonies. On 6 July 2002 at c 14:00, Jan Bisschop and Arnout Linckens visited a large tern Sterna roost on the beach near the Sabaki river mouth on the coast of Kenya. The group of several 100s of terns consisted of Greater Crested S bergii, Lesser Crested S bengalensis, Roseate S dougallii and Common Terns S hirundo, two African Skimmers Rynchops flavirostris and a single tern that was initially identified as an adult White-cheeked Tern S repressa in breeding plumage. It was noticed that this presumed White-cheeked Tern showed a completely red bill, not a feature of this species (which should show a red bill with an extensive dark tip or even a mostly dark bill). However, with many other interesting bird species around and the knowledge that White-cheeked Tern is not an uncommon visitor to the Sabaki river mouth, not much attention was paid to this bird. The tern was photographed by JB, more or less unintentionally, because it was standing next to an attractive African Skimmer. When the tern flew off to the sea, two photographs of the bird in flight were taken. While studying the slides of the presumed White-cheeked Tern back at home, it became clear that the tern did not only have a completely red bill but also a white rump, another feature that does not fit White-cheeked Tern. The tern was subsequently identified as Arctic Tern S paradisaea, a new species for Kenya (cf EANHS 1996). Arctic Tern breeds in northern North America and Greenland, in Europe south to France, and across northern Russia to Alaska (Cramp 1985, Enticott & Tipling 1997). It winters in the Antarctic region and therefore probably has the longest migration of all birds. The migration routes of Arctic Tern are usually well offshore and pass through the Atlantic Ocean and the eastern Pacific Ocean (Löfgren 1984). Arctic Tern is a regular winter visitor along the coast of South Africa, in the east as north as the border with Mozambique (Urban et al 1986). North of these wintering grounds, along the east coast of Africa, the number of records of Arctic Tern is very limited: 12 records in Somalia (Ash & Miskell 1998); one inland record from Sudan (adult captured at Khartoum on 16 May 1982, Nikolaus 1984); and two first-summers photographed in mid-July 1996 at Tawila Island, Red Sea, Egypt (Shirihai 1999). Furthermore, in the north-eastern Indian Ocean region, Arctic Tern has reportedly been seen in Oman (Porter et al 1996) and there is one inland sighting from Kashmir, India (Grimmett et al 1998). The 21 records at Eilat, Israel (Shirihai 1996), may also be relevant in this context, because these birds are likely to have arrived there from the Indian Ocean. Up to now, Arctic Tern has not been reported from Tanzania, Madagascar, Seychelles or the Comoro archipelago. Most of the 12 records in Somalia concerned adults in breeding plumage in April-May in the years 1979-81. Four records concerned first-summer birds in May-July. Two records in early April involved groups of six and 15 adult birds, respectively. One adult was seen on an inland rain pool 200 km from the sea on 23 May. It seems likely that these Arctic Terns have arrived in the northern part of the Indian Ocean after turning north in the \'wrong\' direction during their circumpolar flights earlier in the year (Löfgren 1984, Ash & Miskell 1998). These birds may continue their migration on a long route over land or possibly remain \'trapped\' in the Indian Ocean. First-summer Arctic Terns may be more easily trapped than adults, because the urge to migrate further north is probably smaller for first-summers. Arctic Terns usually stay in the wintering grounds during their first summer (Cramp 1985, Urban et al 1986, Enticott & Tipling 1997). The 21 records of Arctic Tern at Eilat all concerned single first-summer birds between 23 May and 31 August (Shirihai 1996). These birds may have been trapped in the north-eastern Indian Ocean in spring, and may subsequently have wandered to Eilat across the Red Sea to the Gulf of Aqaba in summer. We read with interest the note about the observation of a Black-browed Albatross Diomedea melanophris in the Mediterranean Sea off La Spezia, Italy, on 18 July 2000 (Kelchtermans 2002). The note states that this is the second record for the Mediterranean Sea, after one off the Chafarinas Islands, Spain, in 1997. This statement, however, is not correct. The first Black-browed Albatross for the Mediterranean Sea was actually observed from a ferry off Cap Corse, Corsica, France, on 21 February 1991 (Simeonov 1992, cf Dubois et al 1992, 2000).